Hospitals can be among the most caring and complex workplaces imaginable. They may also be among the most dangerous. 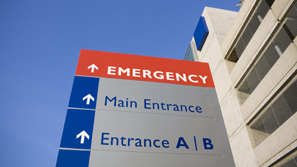 Hospital negligence can occur when an employee – such as a nurse, pharmacist or medical technician – acts incompletely or improperly. The result may be a patient injury, a clinical complication, or even a life-threatening condition. Although not every mistake or unfortunate event that happens in a hospital can be considered negligent, the hospital may be found responsible if its employee acts unreasonably and directly causes an injury. Although many physicians are not hospital employees, they still have the obligation to prevent instances of hospital negligence when present and in direct control of a patient’s care. A hospital may also be found negligent by failing to properly supervise, investigate or discipline a member of its medical staff. Attorneys at The Law Offices of Frank L. Branson have the ability to carefully review any claims of hospital negligence and the relevant details to better determine the potential for lawsuit success. A comprehensive review of the facts may expand the scope of any lawsuit and increase the potential for financial compensation for a patient and family. To learn more about our experience in hospital negligence related matters, we invite you to contact the firm here.